10VFA Variable Filter Attenuator provides a possibility flipping filters in and out of the optical path. Filter replacement is fast and easy. 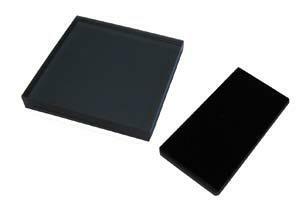 Two standard models are available - for 25.4 (1") mm and for 50.8 mm (2") optical filters. Maximim filter thickness for 1" models is 4 mm, for 2" model - 4.5mm. Standard models have five slots for filter mounting. All contact surfaces covered are with plastic to prevent scratches. Attenuators with different mounting slot quantity are available on request. M10x1 mouting hole is made in the base of the attenuator for fastening on optical tables or post holders. 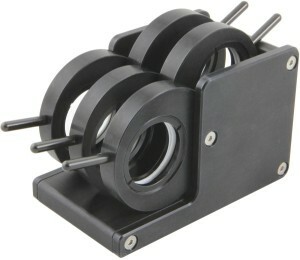 10VFA is made of black anodized aluminium (body and mounting slots). The standard models come without filters. Assembly with other filters available on request. Please inquire us for details or check here.